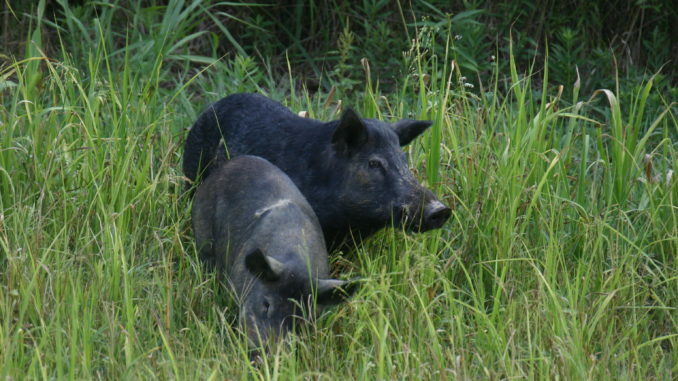 Avoiding several diseases when handling feral hogs requires a few commonsense steps. • Always wear rubber, vinyl or nitrile gloves when handling feral hogs. This includes when handling raw meat prior to cooking. • Wear a mask and glasses/goggles or a face shield when processing feral hogs to prevent body fluids from feral hogs contacting your eyes, nose and mouth. • After processing, burn or bury disposable gloves and parts of the carcass that will not be eaten. Do not feed raw meat or parts of the carcass to dogs. 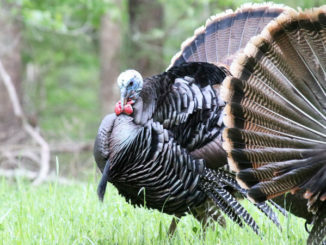 • Always clean knives, utensils, coolers, cutting boards and other equipment used while preparing feral hogs or raw meat with a disinfectant such as diluted chlorine to kill any bacteria. • Wash hands as soon as possible with soap and warm water for at least 20 seconds. • Always cook feral hog meat to an internal temperature of at least 165 degrees Fahrenheit. Freezing, smoking and picking does not kill the bacteria that causes brucellosis. Click here to learn more about the diseases feral hogs carry.